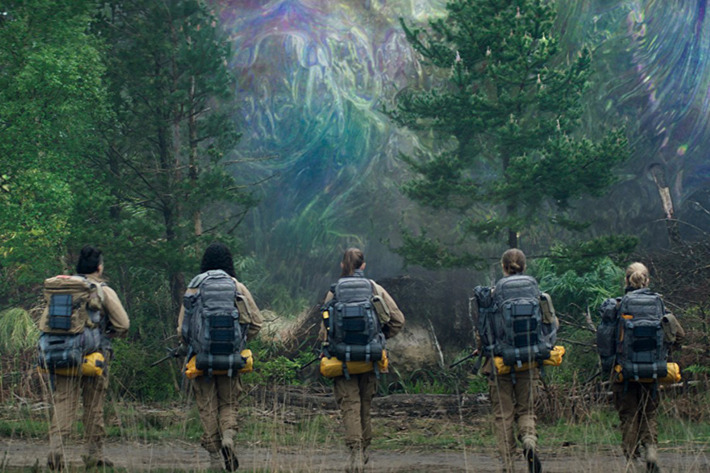 Adapted from the first book of Jeff VanderMeer’s Southern Reach Trilogy, the film version of Annihilation follows Lena and three other female characters into the Shimmer, an expanding alien world full of biological curiosities and horrors. The group is tasked with using their skills as trained scientists and soldiers to gather information and make sense of the Shimmer, something many others before them failed to accomplish. The experience of watching Annihilation is something akin to floating down a river. The film quietly flows until moments of chaos, where you suddenly feel pulled under and submerged in strangeness. In an initial scene, the team of explorers approaches the Shimmer, a sort of line that divides the human and alien world, and then it cuts to the next scene some days later, with the characters and the audience having no recollection of that time ever having passed. But then there are biological observations, reasoned psychological explanations, and negotiated strategic planning to ground us in something rational, something human, and something familiar. It tries to hold the audience and the story there; it tries to hold it all above water. It tries but fails. So sure, watching Annihilation is kinda like drowning. You drown in a talented female-led cast, mesmerizing cinematography, and a complex and beautiful soundtrack. You drown in a film composed of elements that are entirely new and groundbreaking in the horror and science fiction genres. You drown in a story drenched in mind-bending complexity. It is the best kind of drowning, if that’s a thing. Run to a theater if you can still find a showing. 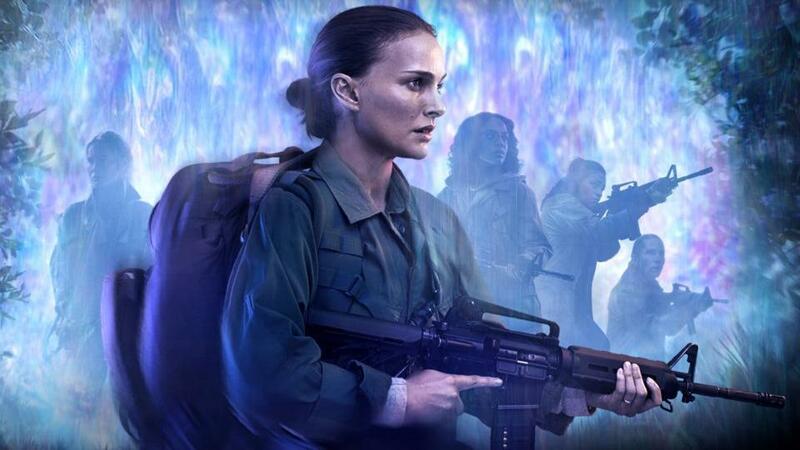 Otherwise, warm up your dial-up and wait for the release of Annihilation on Netflix very soon. It's so worth it.